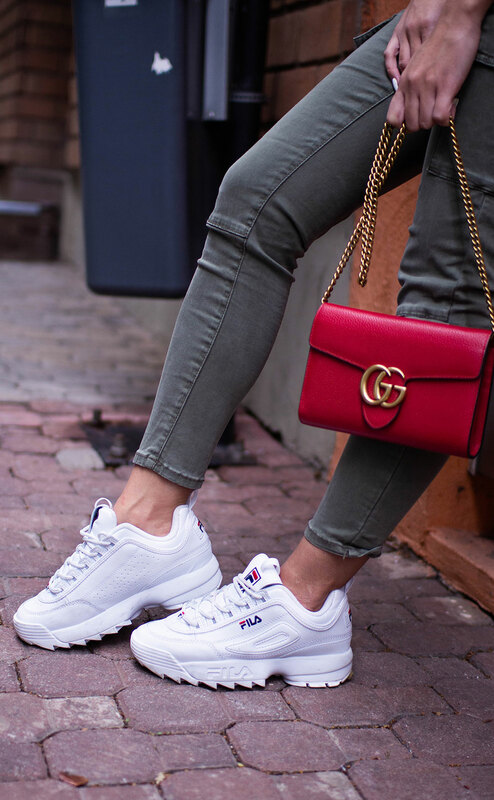 Cargo pants were spotted a lot last year in street style, runway, and now that fall is just around the corner it will be back again in a lot of fashionista’s closets. I won’t say these pants are totally my style, but sometimes I like to try different looks and see how they fit. This one, for example, I like how the pants look with the polka dot top. I didn’t really think these two pieces would look great together at first, but I was wrong. If you are looking into a more “sophisticated” look, you can change the top into a black bodysuit and some black neutral heels. It will look amazing!